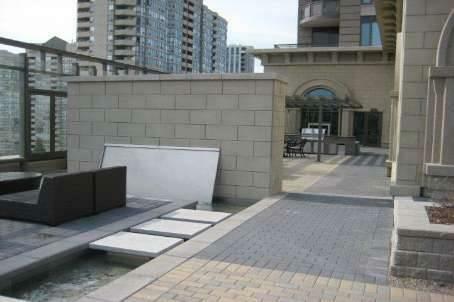 Chicago condominium is located at 385 Prince of Wales in SQ1 Mississauga. This modern condominium was built by The Danies Corporation. 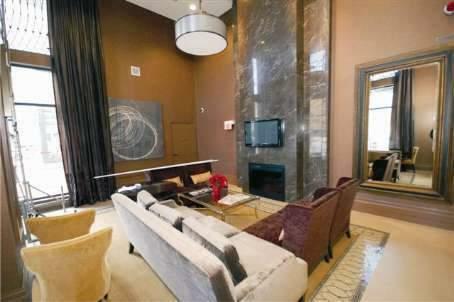 Chicago condominium has good selection of suites with various floor plans. From studios up to townhouses. Chicago is inspired by an era when architectural detail and design reigned supreme. True to the Chicago School, this exciting new residence is designed with three distinct architectural components similar to a classical column. The first floors represent the base of the column, the middle floors form the shaft of the column and the top of the tower is its crown, with a highly detailed and decorative cornice. Distinct in design and stunning in its style, Chicago is destined to stand proud as an architectural triumph on the Mississauga skyline. The condominium does not have just unique architecture but also unique amenities. 8th Floor Terrace. The stunning lounge blends seamlessly with the spectacular fully-furnished 6,000 sq. ft. Outdoor Terrace. Designed for year round enjoyment, the Terrace includes weatherproof flat screen TVs, stylish lounge chairs, a tranquil water feature and a cozy fireplace. For entertaining, a complete Al fresco kitchen with dining area is available for your cooking and barbequing pleasure. The Pool House. Inspired by the classic barrel vaulted ceiling design of the Chicago subway tunnels, the Pool House offers residents a tranquil and refreshing spa-inspired retreat, overlooking the exquisitely landscaped Outdoor Terrace. 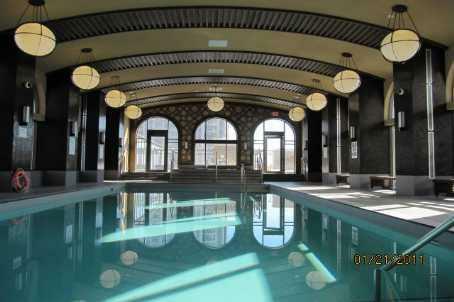 This spectacular area, which can be opened up to the outside in the summer while remaining closed off from the elements in the winter, features a sunlit pool, indoor/outdoor hot tub and co-ed glass steam room. offers a calming escape from the stresses of everyday life. 6th Floor Amenities. 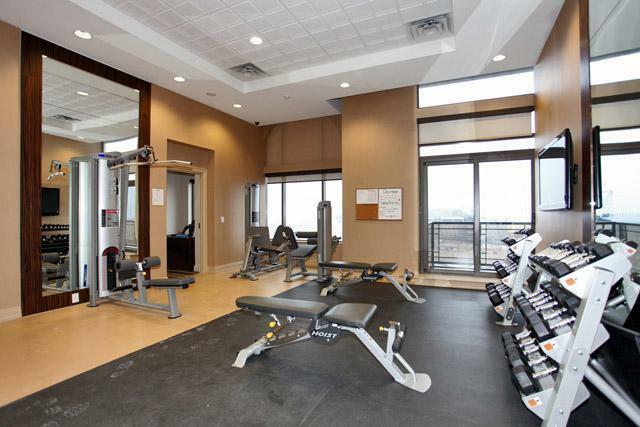 Interconnecting, spacious gyms offer state-of-the-art cardio, stretch and weight-training equipment. For an even more exciting alternative, push your workout to a higher level by climbing to the top of Mississauga’s first resident-only 30-foot Climbing Wall found exclusively at this condominium! Finish your workout with a relaxing game of Virtual Golf or visit the extensive electronic gallery of Virtual Reality games that will test your skills and offer hours of entertainment. From morning to night, Chicago condominium offers the finest amenities in a world-class setting for you to enjoy. 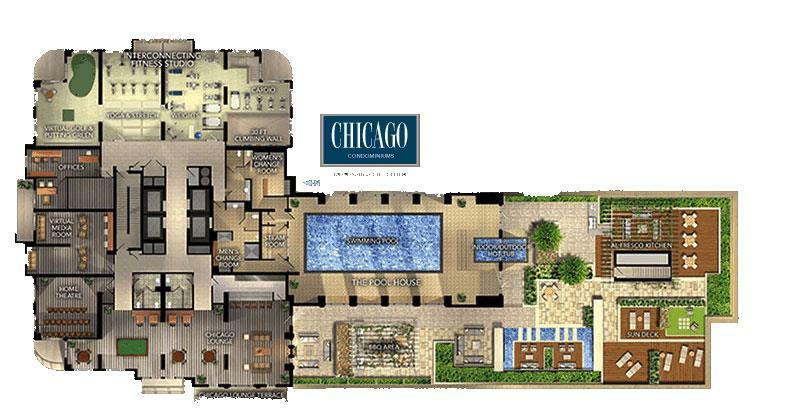 Chicago Condominium has wide selection of suites and townhomes. 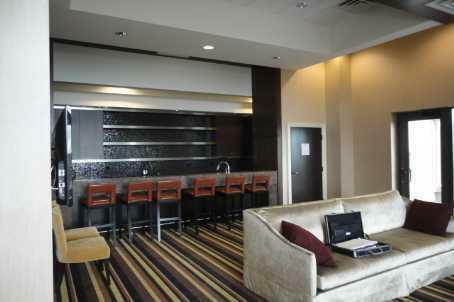 Suites range from small studios, which are less than 500 sq.ft to large 2 bedroom plus den suites over 1,000 sq.ft in size. Condo fees include parking,water,gas,building insurnace and maintenance of common elements. Hydro is billed separately to each suite. For specific floor plans please contact us directly.